Ants play an important role in gardens, helping to pollinate flowers and even controlling some other pests. At times though their infestations can reach critical levels and begin to cause problems. When this happens it's important to find ways to get rid of the nuisance insects. One of the benefits to treating an ant infestation, is there are many options that don't involve harsh chemicals or insecticides. Often times you can use items commonly found in your home and garden. One of the most commonly used DIY ant treatments is a mixture of boric acid and sugar. According to Orkin, getting the mixture with the right amount of boric acid is critical; too much and the ants could die before taking it back to the queen and too little is ineffective. Soak pipe tobacco in water overnight, and then strain the "tea" that is created being careful to avoid getting it on your skin. Discard the tobacco leaves and then pour the tea on ant hills or along ant trails in place of insecticides. Create a firewall of sorts in your garden by creating a barrier of baby powder around your plants. This will not only help to overpower scent trails, but the ants won't be able to cross it if it's high enough. A cheap and easy solution, cornmeal is often sprinkled around places were ants are known to congregate. While they are incredibly attracted to the smell, once ingested, the cornmeal cannot be broken down and the ants slowly starve. Keep in mind, this method does take time to work effectively. The low pH of vinegar is thought to be harmful to ants. By mixing a 1:1 dilution of vinegar and water you can create your own natural insecticide to spray around plants. Be careful though to avoid getting it on your veggies as it could damage leaves if too strong. 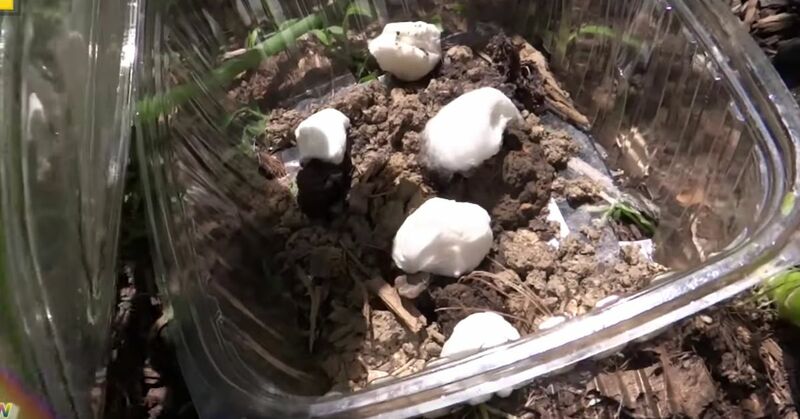 Gardening Channel explains that diatomaceous earth is a fine powder created from the crushed shells of diatoms.While it seems benign, the particles have incredibly sharp edges that penetrate an ant's body causing it to perish from dehydration. While using cinnamon or cayenne pepper in your garden won't kill ants already present, it will help to deter them. Sprinkle a heavy line of either of these spices around the perimeter of your planting space to keep ants from crossing the barrier. A key aspect to keeping ants out of your garden, is to diminish the food source that normally draws them in. Aphids are small garden insects that create a "honeydew" that forms from sucking the sap of plants. If the honeydew isn't present for the ants to snack on, they will be more inclined to look for a new place of residence. As a general rule, a bountiful vegetable garden requires a lot of sun, but there are several veggies that will tolerate a fair amount of shade. Are you hoping to grow beautiful and healthy geraniums this year? Read on to find out how! Relatively easy to grow, raspberries make a great addition to your home garden if space allows. Check out these tips if you're thinking about planting some.